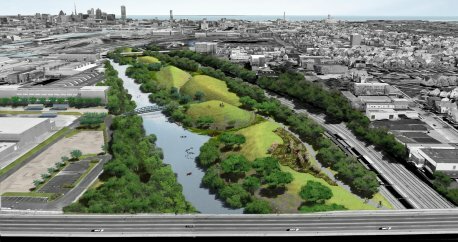 Menomonee Valley Partners ($25,000)The Fund for Lake Michigan is supporting the Menomonee Valley Partners’ predevelopment process to gather data and develop plans for 40 acres of contaminated and underutilized property on the eastern end of the Menomonee Valley. For decades, the only use at these sites has been concrete crushing. Given this opportunity, Menomonee Valley Partners will design a conceptual site plan that aims to maximize public access to the river, as well as stormwater treatment and economic development. The long-term goal of this vision is to transform these challenging sites at the Valley’s east end.